WASHINGTON — Gender equality has come to divorce court, with an increasing number of soon-to-be ex-wives on the hook for alimony and, even if they have primary custody, for child support as well. And men have no problem taking it. 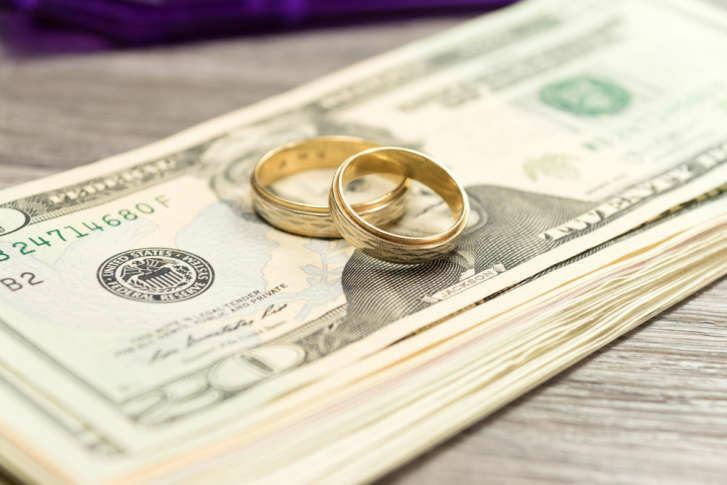 The American Academy of Matrimonial Lawyers says over the past three years, 45 percent of its attorney members have seen an increase in women being responsible for alimony and 54 percent have seen an increase in ex-wives paying child support. Unlike previous generations, there are many more two-income households and it is not uncommon for the wife to have the larger income. The AAML says, despite that, women still have a difficult time accepting that the financial obligation in a divorce may fall to them. “I think a lot of women go into a divorce with a very traditional decades-old mindset. If you go back 20 years, it was always the man paying support,” Madeline Marzano-Lesnevich, president of the AAML told WTOP. She advises any woman who might be considered the primary wage earner in a marriage immediately gather and organize as many financial documents as possible at the beginning of the divorce process, and she says it would be a mistake to dismiss the idea that she might be the spouse who is obligated to make payments once the case is settled. She says it is essential for women to understand that divorce courts have become a gender-neutral place where numbers and the bottom line ultimately influence decisions about alimony and child support. Is there ever a “macho effect,” where the soon-to-be ex-husband’s pride gets in the way of accepting alimony payments? “I can tell you in my practice, I have seen the exact opposite. Without fail, I find that the men are absolutely delighted to find that they may be entitled to alimony,” Marzano-Lesnevich said. In the case of child support, women are also increasingly judged responsible even if the ex-husband has only partial custody of the children. According to the American Psychological Association, 40 to 50 percent of married couples in the United States divorce, and the divorce rate for subsequent marriages is even higher.